Enjoy the deliciousness—but avoid the guilt! These cupcakes are a yummy pleasure, but because they're only a few nibbles each, they're not TOO much of an indulgence. In fact it's even possible to enjoy two or three without going overboard. And that's a good thing, because with cupcakes this scrumptious, who would want just one? 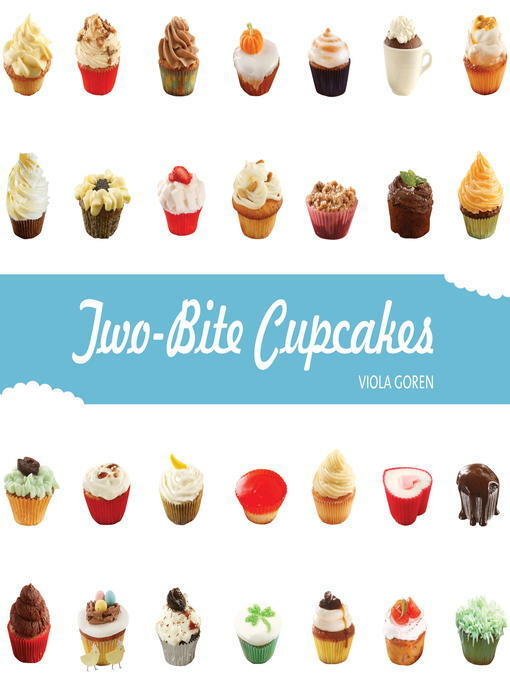 Viola Goren, a renowned pastry chef, cooking teacher, and restaurant owner, teaches all the cupcake essentials, and provides basic recipes for a variety of frostings and fillings. From luscious creams to crunchy nuts and sweet fruits, these tiny treats provide a surprise in every bite. There's something here to please all ages and tastes: kids will go wild over the Oreo cupcakes, while adults will savor such sophisticated fare as the Crème Brulée or Plum Cobbler varieties. An entire chapter devoted to "Nothing but Chocolate" will have chocolate lovers swooning over Chocolate Soufflé and Nutella Surprise cupcakes. And though we generally think of cupcakes as sweet, these savory bakes are great afternoon snacks or delectable appetizers. Finally, celebration recipes will make holidays, including Christmas, Passover, and Easter, as well as occasions like baby showers and birthdays, super-special.